Made with premium deer meat, our Venison Jerky is a classic recipe and provides the benefits of being a wild game meat. Hickory smoked and with coarse, cracked black pepper, this has medium heat and a tangy spice our customers love. A pepper lover’s deer jerky delight! Our Peppered Venison Jerky uses whole pieces of lean muscle meat that is high in protein and B vitamins. It is preservative-free with no growth hormones, steroids, MSG, nitrates, or other fillers. It is thick cut, marinated, and hickory smoked daily. 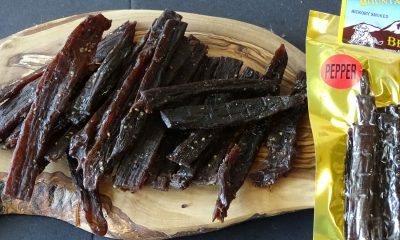 Try our peppered deer jerky and discover why our customers keep coming back for more. 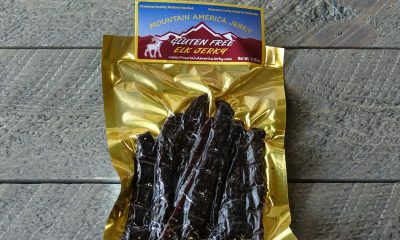 The elk jerky was my husband’s favorite but we both loved the peppered venison jerkey too. The peppery flavor was perfect! We are going to get some of each for his brother’s birthday gift. excellent jerky, great taste and moist and tender…. Return customer, love the pepper jerky. Will be ordering again. I shared this jerky with my co workers. #1 reaction after tasting is fresh and tender. Best jerky around. Very tasty, generous portion, fast shipping. I come back every Christmas season and get my friend the Peppered Venison Jerky. He totally loves it!! This past Christmas was my 4th and I’ll be back next year!! I LOVE this Venison Jerky! If you’re into a nice black-peppery bite and good sized, moist and very fresh pieces, this is super good! One thing: They mean it when they say refrigerate after opening. I’m glad I had only a single piece of jerky left in the bag when about 10 days after I opened it (and DID NOT refrigerate it) I saw mold growing on that last piece. I didn’t mind. It was my fault. Repeat customer. I am addicted to your venison jerky!!!!!!! I’m a person that’s big on jerky. I’ve bought this several different types of jerky from here several times, and this one is my favorite (although the kangaroo and alligator jerky are very close). 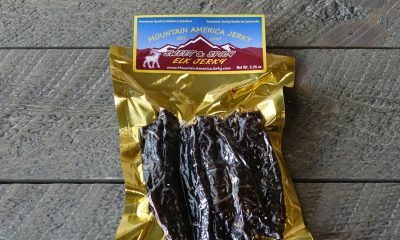 In less than a New York minute – Super Tasty, Super Chewey – everything a great jerkey should be! (Peppered Venison review) My girlfriend got me alligator jerky and venison love it can’t wait to get some more …….! 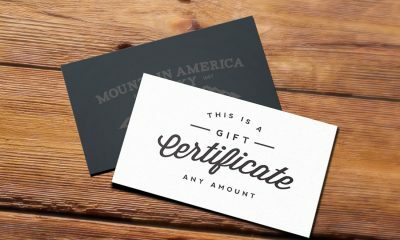 I was debating on whether to use this site or some other ones I found, but after seeing this company’s BBB rating (Better Business Bureau), which is an A+ by the way, I decided to go with Mountain America and I must say that this is some of the best jerky I’ve ever had. Especially the teriyaki salmon! Venison: Venison is a jerky that I absolutely love. With the out of control deer population in Southern Michigan, many people in the area have perfected making jerky from white tail deer. I even experimented (with mixed results) making it last fall. While I’ve had several good versions, none of them measure up to Mountain America’s venison jerky. The flavor profile is simple and savory. There is just the right balance of sweet and salty. 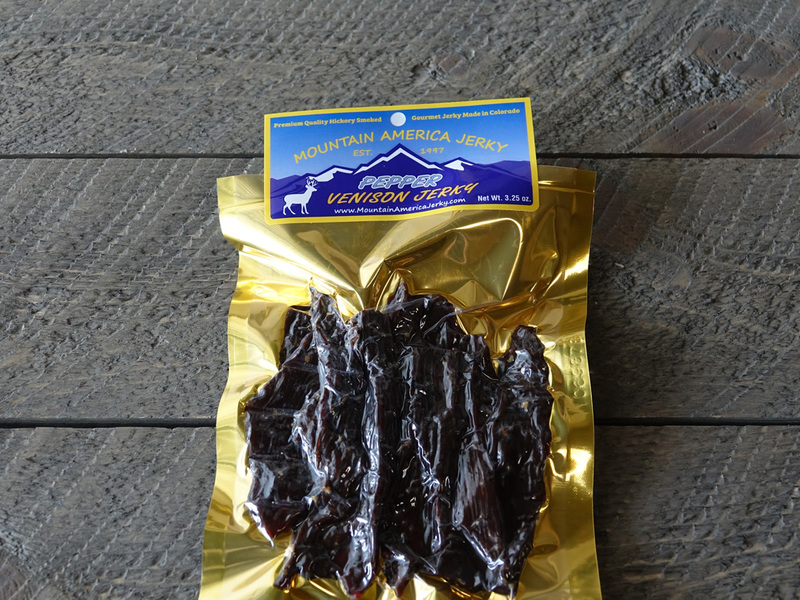 The lean venison creates a slightly tougher jerky, but I enjoy the extra chew.